How Pre-Listing Home Inspections Can Save You Time and Money! Having your home inspected before listing can save you time, money, and grief. Home inspections can be a pivotal moment in a real estate transaction. We all have that fear that the inspector will uncover something game-changing that will ultimately take us back to the drawing board. However, home inspections are nothing to dread. In fact, when approached with the correct lens, they can end up saving you time, money, and heartache- especially when you are selling your home. In a typical transaction, the home inspection would be conducted after a contract offer has been accepted. This leaves negotiating power in the hands of the buyer. If they want you to have something fixed, you have it fixed or (depending on severity) it could cost you the deal. On the other hand, if you were to think about home inspections strategically, having your home inspected before listing could change that. A pre-listing inspection removes the element of surprise. Many sellers are shocked at the inspector’s report. Small items always show up, but it’s the big-ticket items that you haven’t thought about that can really delay or break a deal. With this information, however, you also have more control over how to budget for these repairs (including choice of contractor), and how soon they can be scheduled. For example, if you are selling your home during a hot market, choice contractors may be scheduled over a month out, delaying your closing and making your buyer question their offer. Having knowledge of these repairs and correcting them before listing your house can smooth out any inspection-related road bumps you could experience during the transaction. Knowledge is power. Know what you are getting into before listing your property. Never try to cover up something that may not be functioning properly. Instead, be open and honest with the inspector. Let them know the item isn’t working, and inform them of what you have done to correct the situation. If it is something simple like a light bulb- change it. Keep things clean and clear. No one wants to climb mountains of belongings to get to where they need to go, let alone a home inspector. Appliances should be cleaned and free of any debris. Guide your inspector to places like your attic and/or septic tank. Sure, they can probably find their way there on their own, but removing some of the guesswork certainly makes their job a little easier. Ultimately, having your home inspected before listing can save you time, money, and strife. Whether you decide to make the repairs before listing or choose to account for them in your listing price, a pre-listing inspection will give you an advantage when it comes time to sell your home. Copyright ©2013 “How Sellers Can Save with Pre-listing Inspections.” National Association of REALTORS®. Reprinted with permission. 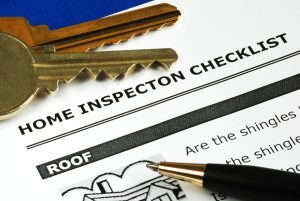 Copyright ©2013 “5 Ways Sellers Can Prepare for a Home Inspection” National Association of REALTORS®. Reprinted with permission.